…and then he peed on it. 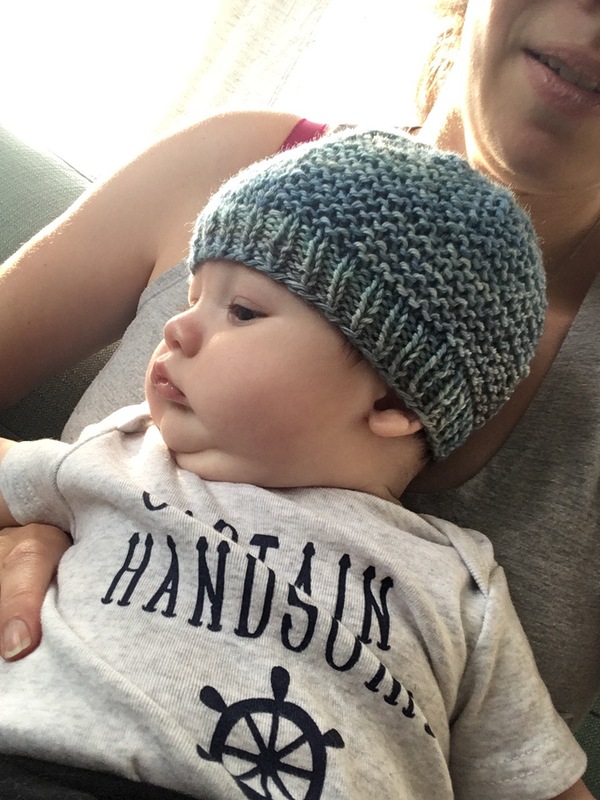 This whole baby thing has really been cramping my knitting style. 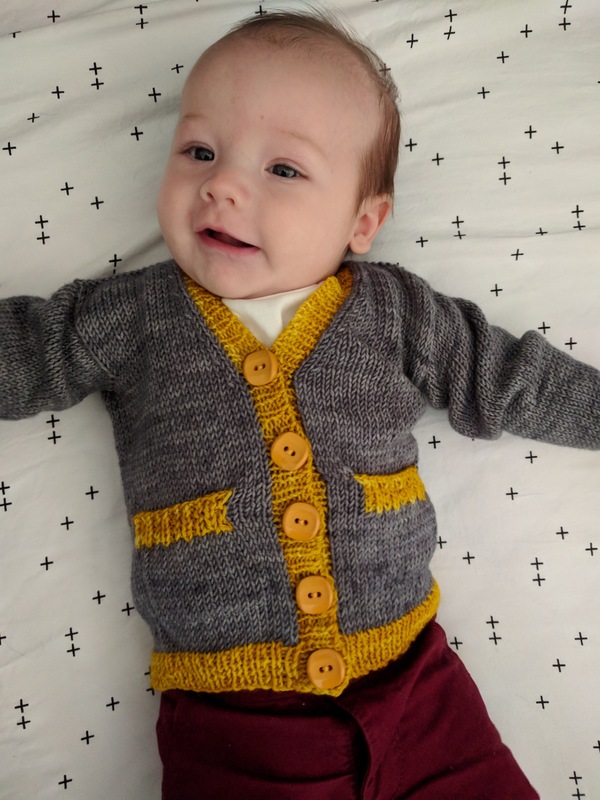 For the whole first month of Miles’s life, I was unable to do any knitting. None. Zip. Nada. 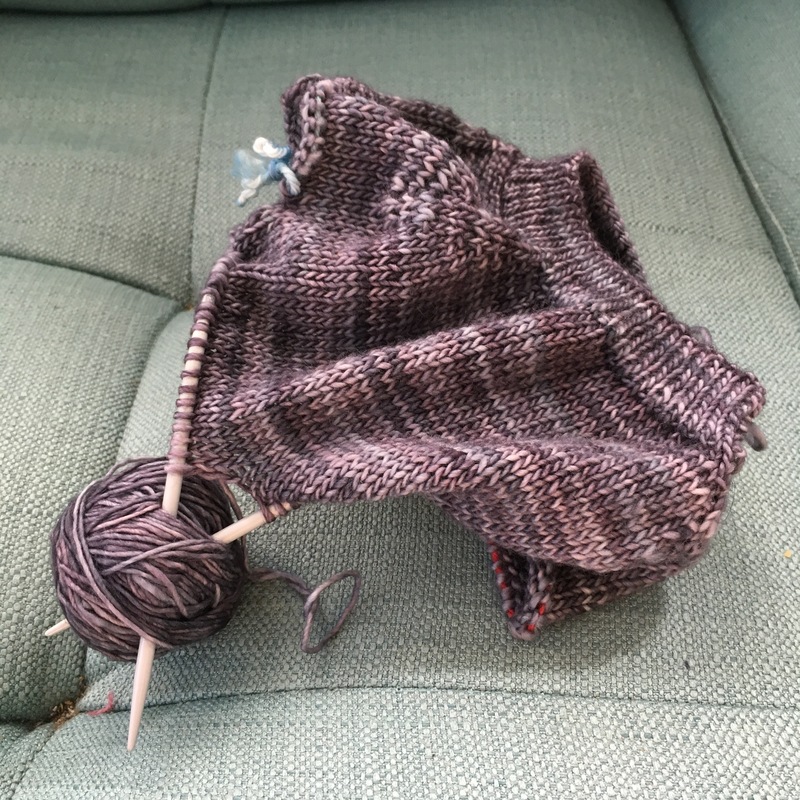 And even once I started “having time” the thought of trying to balance knitting from a chart and a baby exhausted me. 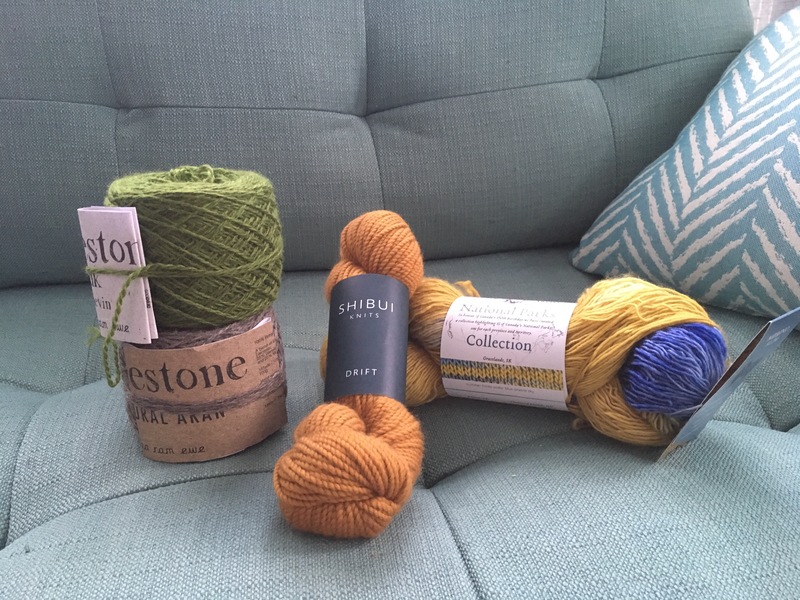 So I did what any sane knitter at the end of her knitting rope (or dare I say….yarn?!) would do: I cast on a new project. It was the only reasonable thing to do! 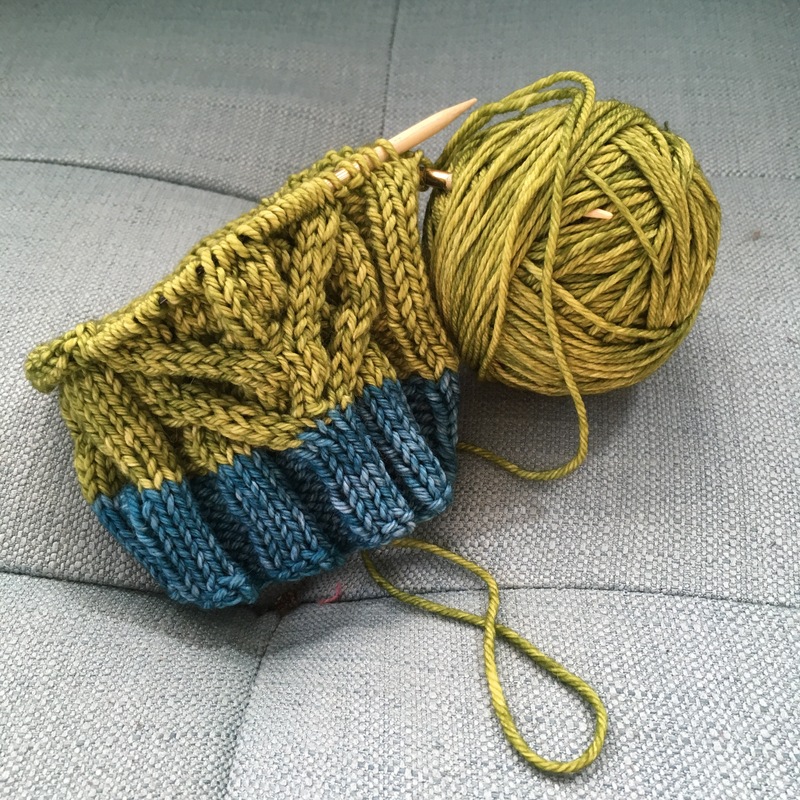 A simple pair of toe-up socks that require no pattern or intense concentration, and a handily already-wound ball of Loft ready to go. 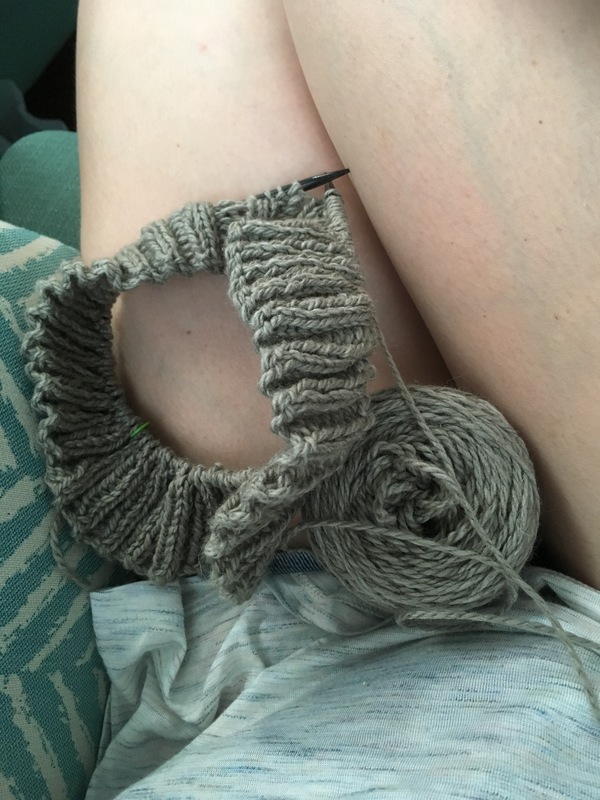 I admit, perhaps not my ideal yarn for socks (AKA no nylon) but I’ve been dying to use it for ages and my other pair of pure wool socks have a hole in the heel that needs darning that I’ll be darned if I ever get to. 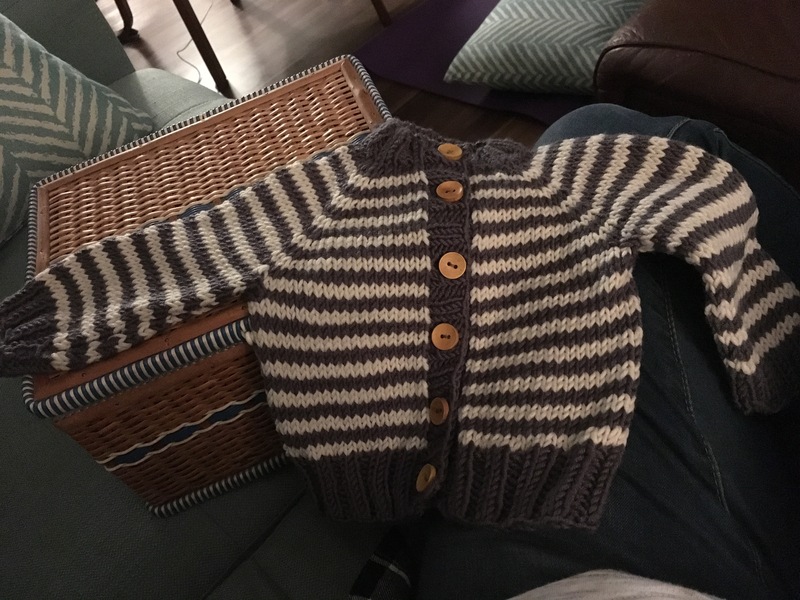 And so in the spare moments, when I can manage to get both hands free from under a sleeping babe, or Husband takes him for a bit, I’ve got the needles in my hands again and I am SO PLEASED! 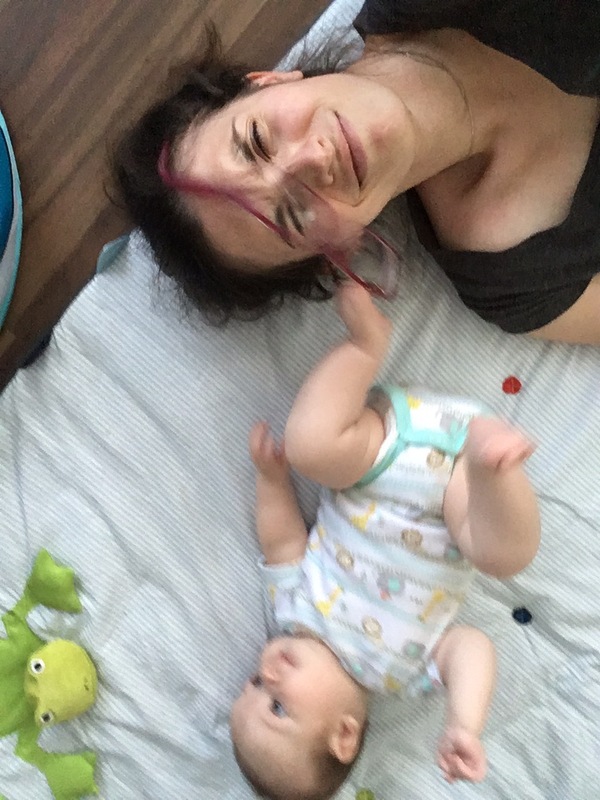 On an end note, please enjoy this picture of said knitting-cramping-style babe in question, who turned a month old on Saturday. Boy finally decided to join the outside world, 6 days late and 1 day shy of being forced out induced, except now he’s called Miles. And boy, do I love him for miles and miles and miles. Sadly, since his arrival, the weather has continued to be too hot for hand-knits, even for a baby’s standards, which means that Miles hasn’t been particularly been able to enjoy the collection I stocked up for him aside from a day in his knit blanket and coming home in his Puerperium cardigan (which is, as predicted, way too big on him…) and his Owlies. 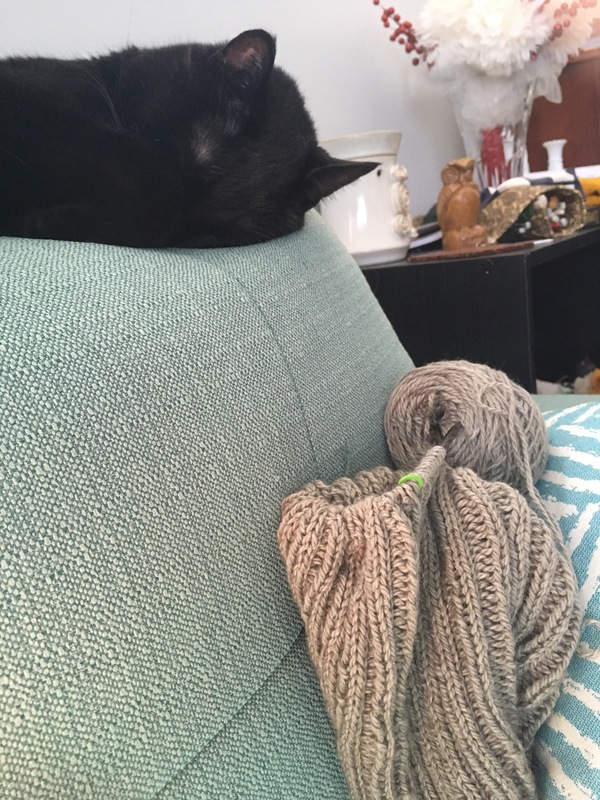 Neither have I been able to knit since coming home – this is actually the first time I’ve even made it onto my laptop in over a week – but really, can you blame me? You saw those cheeks. So please excuse any awkwardly long silences between blog posts from now on. I’m almost to the point where I don’t have the urgent desire to snuggle the valhalla out of him every time he falls asleep and, you know, have a nap actually get some things done instead.